So what can you do with your brand-new communications degree? There is actually an exceptionally wide variety of things one can do with a communications degree. One of those things is to become an executive producer. An executive producer oversees hiring, managing, and organizing of a production – and make big bucks doing it. This production could be something such as a movie, television show, radio, or stage production. There are a wide variety of areas one could exist in while being an executive producer – a potential advantage for those who want a versatile profession. 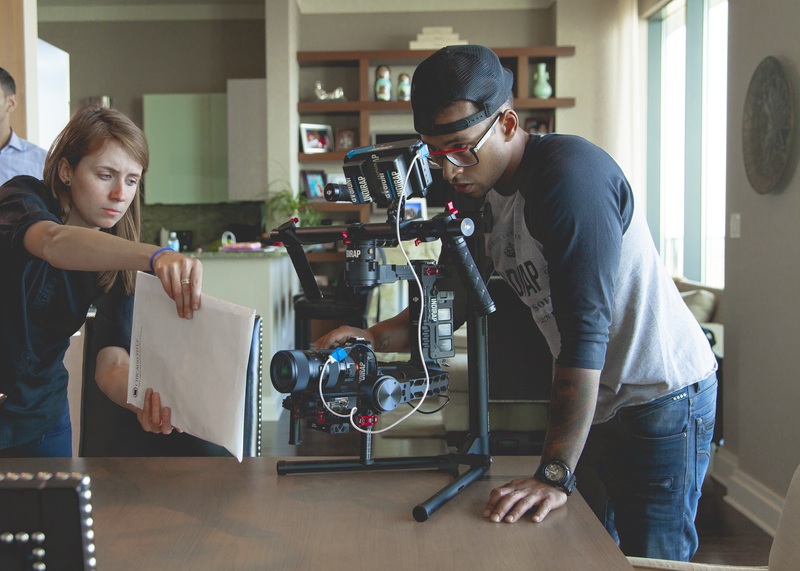 Another plus for those who want versatility is that executive producers do not always work for a production company, but may also work independently. What kinds of responsibility are involved? The duties of an executive producer include seeing a production through from begging to end. There is a lot to do between the beginning and the end of a production. The executive producer is in charge of many of the administrative aspects. This includes hiring the cast, overseeing the cast, writing and editing content, upholding budgets, as well as creating work schedules. In addition, a producer must also understand and work within union guidelines. This is primarily the business side of the operation that viewers of TV shows and movies do not get to see, yet are vital to the process. Many places online do not list a specific degree that one needs to become an executive producer. That is because there is not one. Like the communications degree itself, the education required for the position is varied. A bachelor’s degree in a variety of areas will suffice. A communications degree specifically will help in areas such as marketing, advertising, public relations, and writing/editing. These are all essential to the production at hand- no matter if it is a radio show or a film. Okay, so how much do I get paid? A lot. The average salary of an executive producer is just south of $140,000 – and that is just in the Philly area. If your dreams are to become in the hollywood film industry the opportunities are endless. This is certainly a lot of money, but is well deserved considering the amount of oversight that is required to function successfully as a producer. Having a few areas of familiarity in addition to communication is definitely beneficial to producers. Let’s take film making for example. Taking a few classes in screenwriting, audio/video recording, as well as editing can help one prepare. This will help to become familiar with how the industry works and provide excellent background knowledge. If one wanted to work in radio instead of film, then classes that specialize in broadcasting and audio production would be great examples to think about enrolling in. Another area to consider is film/music management. This will help with becoming familiar with the latest recording technology. The tech world is a constantly-advancing world and knowing where the technology is going next is vital. The final area that can greatly help is journalism. Journalism provides effective writing, editing, reporting, as well as public relations skills. Becoming an executive producer seems like a lot of work and that’s because it is. There’s a reason it is one of those jobs one works their way up to. Because it is one of those jobs, there is a lot experience and expertise required in order to perform. If one intends to eventually work up to becoming an executive producer, it may be wise to consider making the job positions right out of college and on ones that will prepare oneself to become an executive producer. Dannenfeidt, Diane. “How Executive Producers Work.” HowStuffWorks. Info Space Holdings, LLC, 18 Aug. 2008. Web. 14 Apr. 2017. “Executive Producer.” Executive Producer | Film and TV Jobs in the Entertainment Industry | Media-Match.com. Media Match, Inc, n.d. Web. 14 Apr. 2017. “Salary: Executive Producer.” Glassdoor. Glassdoor, Inc, 8 Apr. 2017. Web. 14 Apr. 2017.
communicationsdegreeexecutiveproducerwhat can i do with my communications degree?